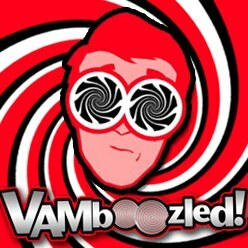 Massachusetts Also Moving To Remove Growth Measures from State’s Teacher Evaluation Systems | VAMboozled! This entry was posted in General and tagged Bias, Consumer Alert!, Extraneous Variables, Fairness, High Stakes, History, Reliability, SGPs, States, Validity by Audrey Amrein-Beardsley. Bookmark the permalink. Why couldn’t AERA say that? While MA takes growth measures out of teacher evaluation it is making them a central component of education provider evaluations. Programs will be judged on the SGP of the students of first year teachers who complete their programs. It is part of a ramping up of preservice requirements, supposedly to improve the preparation of first year teachers – the goal being that they will perform as well as third year teachers – especially in schools with high numbers of low income students where many first year teachers are employed. Meanwhile, the same MA political forces are working hard to open more charter schools full of low income kids where teachers need not have a single day of preservice education and training. They don’t even have to pass the educator tests, the MTELs, until the end of their first year. Cognitive dissonance anyone? So great to hear that school districts are moving away from these practices!